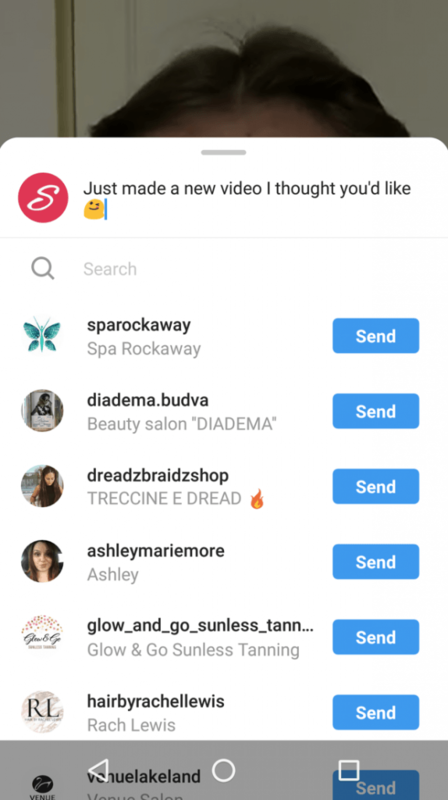 Not too long ago, Instagram launched a new app and experience, redefining once again, how we connect with our audiences. A bit of context: Instagram started out as a photo sharing platform. Then they brought in short videos. Next, Instagram Stories made it easy to snap and share instant videos and photos. Finally, they’ve released the IGTV app, which gives us the power of sharing videos up to 1 hour in length. But what does this mean for your salon or spa? Is it worth putting time into marketing your business on a new platform? And how is it different from the regular Instagram app? Read on to see exactly why you should pay attention to IGTV. Also, watch the Phorest Academy Salon Instagram Masterclass video on-demand here! IGTV is both a new standalone app and a new experience within Instagram itself. 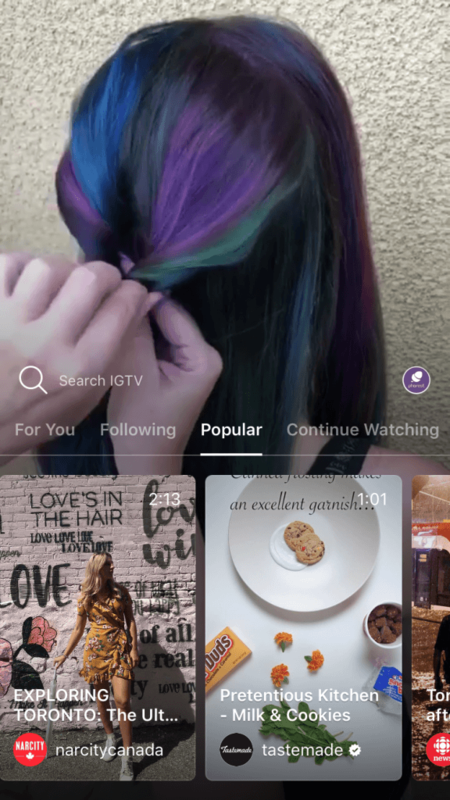 When your salon activates its IGTV channel, all of your existing followers are be able to watch your longer, vertical videos on your IGTV channel. Unlike Instagram Stories, these videos don’t disappear. They’re less formal – read, easier to make! – than Instagram videos, and you don’t need to bring your followers to another website or app. IGTV is built right in, and it’s so easy to use! 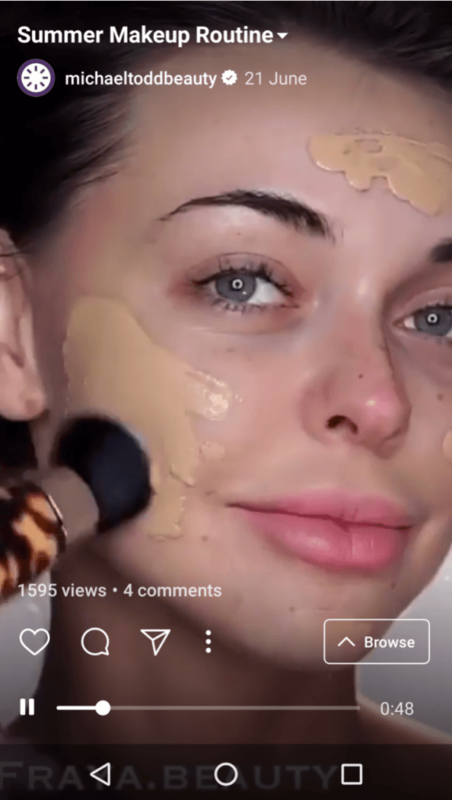 The main highlight of IGTV is that you can now upload 10-minute videos, and for hair and beauty businesses, it’s the perfect format for tutorials, inspirational talks, salon tours, how-to’s, product demos… pretty much anything your heart desires! Because they’re in a vertical format, IGTV videos are made to be recorded from your phone, not with professional video equipment. What does that mean for you? It’s incredibly easy to upload a video that took… say what, five minutes to make? Tip: Try to let go of your perfectionist side and just focus on the basics: videos that entertain, inform, or inspire. While clicking through IGTV channels (it’s like TV! ), I stopped many times to watch makeup, hair, and nail tutorials that were more than five minutes long. There is something so mesmerizing about watching a person do their hair! Use this as inspiration and try making your first videos both personable and useful. Tip: Show your audience a new hair or beauty technique, let them watch you apply your makeup (or makeup on a client), or share just how you get those beachy waves. That’s what IGTV is perfect for! 3) It’s New, And It’s Not Crowded (yet)! More than a million people have downloaded the IGTV app, and it’s only been out for a few weeks. Then, there are the hundreds of millions of Instagram users that are hungry for IGTV videos on the regular Instagram app. Note: Comparatively, few businesses have jumped on board IGTV. That means there is a massive opportunity for salons to create videos that get tons of views and engagement.There isn’t that much competition yet. Get in early! 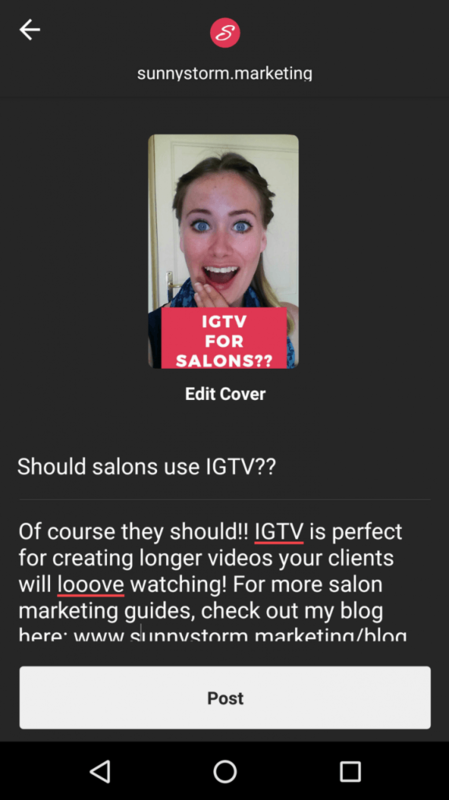 Are you convinced yet that IGTV is a video paradise and the perfect marketing channel for your salon? Great! Here’s exactly how you should get started. I recommend you download the IGTV app first and spend half an hour looking at videos. Which ones catch your attention? Which ones make you flip past real quick? Which length of video did you like most? Make a note of these things and get familiar with how the app works. I spent about half an hour on IGTV and the time flew by! You can’t post live videos directly to IGTV – you have to pre-record them (stay tuned for part 2 of this post next week: 13 Ideas For Your First Salon IGTV Video). As such, I recommend starting with a quick video filmed on your phone. Remember that your videos have to be vertical (tall), so keep your phone upright. Finally, keep in mind that your videos don’t have to be perfect! Your video has to be between 15 seconds and 10 minutes long, although larger accounts seem to be able to upload videos as long as an hour. Make it fun, energetic and real, and remember to grab the attention of people within the first few seconds or they may swipe right past! 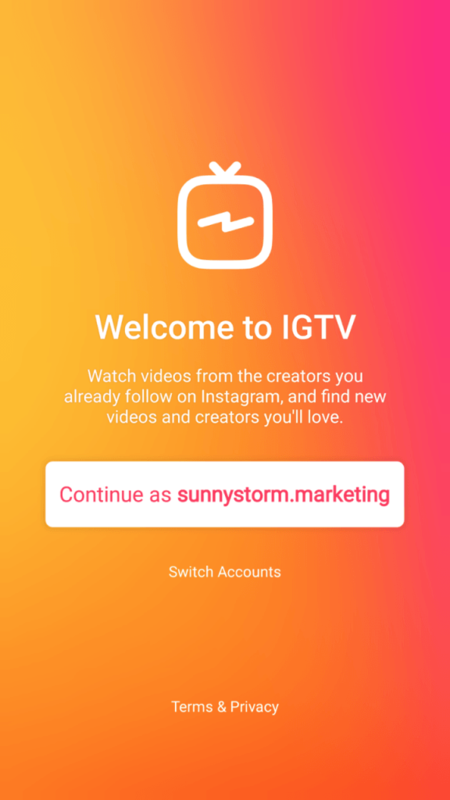 Instead, if you want to do it from your computer, go to your Instagram account, click “IGTV” and press the “Get started” button. Now that you’ve activated your channel, it’s time to upload your very first video! Again, your video doesn’t have to be perfect, so you don’t need to spend a ton of time editing it, adding effects, music, etc. The more real it is, the better. Go to your profile and tap the “+” button to upload your video. Choose the video from your camera roll, and you’ll be brought to a page where you can edit it. Choose a title that is attractive and descriptive, but short – it’ll get cut off after 25 characters. Your description can be as long as you want and can contain both hashtags and clickable links. That’s right, IGTV gives you the power of linking viewers to your website! Finally, for the cover photo, you can either upload an image that you edited or choose a thumbnail from the video. Remember, viewers will see the thumbnail and decide whether to click it or not, so make it attractive. When you’re done, just press publish! Note that your video is also discoverable by people outside your followers in the “for you” section of the IGTV app. So if you’re posting engaging, fun videos, you can create a broader audience that way too! IGTV is a new social media app that I believe will be a huge help in marketing your salon or spa. It gives you a space to share longer videos with your audience that will educate, inspire, and delight them. And again, remember that your videos don’t need to be perfect. Just record something that you’re passionate about and will grab the interest of your audience. Stay tuned for part 2 of this post next week: 13 Ideas For Your First Salon IGTV Video! 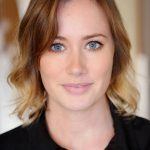 Stephanie Mitchell is the Founder of Sunnystorm Marketing, a marketing agency where she helps beauty businesses to grow their client base and brand themselves online. Through training, education, her in-depth guides and done-for you services, Stephanie wants to help beauty business owners grow their dream through smart (and fun) marketing ideas.